Published originally in LA City Watch, November 3, 2016 – the charts were inadvertently omitted in original post and are included here, below. Recently I wrote in support of Proposition 62 to repeal California’s death penalty in the name and memory of my murdered son, Matthew Benjamin Butcher (March 17, 1983 – June 24, 2010). The support and love I have received as a result of this expression of opinion, “This Mother of a Murdered Son Says: ‘Repeal the California Death Penalty’ by Voting YES on Prop 62” is surprising, humbling, and overwhelming. Within the Butcher family, there is deep division of opinion on the topic of the death penalty. I love that! Don and I are both originally from New York and New Jersey and we raised our kids to argue as a way of life. Since publishing my recommendations for the state initiatives, my son Steven Butcher has changed my voting recommendations on two of the props. I should have asked him about Prop 54 to begin with — he’s more knowledgeable than I about these things these days. His winning argument? I said “gut and amend.” Really? When he said, “Yeah, but good stuff sometimes happens at end of session that otherwise might not if it had to wait 72 hours.” He raised several other points that made good sense, closing with, “Plus, Jackie Goldberg’s against it.” The kid still knows how to win an argument with me! No on 60, he says, as well. The industry is already closely regulated, and the San Fernando Valley is in danger of losing jobs to New Hampshire. Good points. I’ve changed my recommendation on that one as well. On Prop 51, I easily convinced him that while $9 billion in school bonds would be a great thing, it’d be better if they pass locality by locality rather than statewide (like Measure CC in LA and Measure O in Riverside, for instance.) That way the wealthier districts don’t get funding ahead of more needy school districts likely disadvantaged by a seemingly fair “first come, first served” schema. We have joyfully survived “the Move.” Note that I’m writing now from La Crescenta, 10.7 miles from “the kids” and “the baby.” Fifteen minutes up the 2. That’s us, here in Grandparent Heaven. Who knew there’d be ancillary political benefits fun enough to make me smile when I our absentee ballots arrived just as we did? First, I know Ardy! Ardy Kassakhian is a sincere, good man and I couldn’t be happier to cast a vote for him for Assembly. Ardy and I got to know each other as cohorts in Coro’s 2011 Executive Fellows program. He is driven by love, by service, and by the love of service and I know him to be thoughtful, visionary, and genuine. Plus I always love those candidates originally from the localest of government. Casting a gleeful YES vote for LA County Measure M, hoping LA can begin to fix its past transportation snafus. The word “infrastructure” is my own personal drinking game word. Imagine tons of infrastructure and transportation spending? Cool, huh? And finally, I was delighted to vote for Kathryn Barger for LA County Supervisor. (Photo above.) When I was briefly assigned to the County part of the Union, Kathryn, personally and formally, welcomed and helped me. She’s smart – a badass who knows how to get things done. She will be an amazing part of Los Angeles County’s Board of Supervisors! The financial data on my Butcher voting recommendations chart has been updated as of October 28, 2016, thanks to Ballotpedia which also provides good information about local LA City and County measures here; LA Magazine also publishe d an interesting piece on many of the municipal measures as well. Ya’all know what I think about how wrong is Measure RRR! the brilliant haiku explanations of Damian Carroll! + Spending for Propositions 65 & 67 are reported as combined campaigns. ** Measures 58 and 59 were put on the ballot by the legislature so there’s no ballot access cost data. To hire and set rates NO!!! 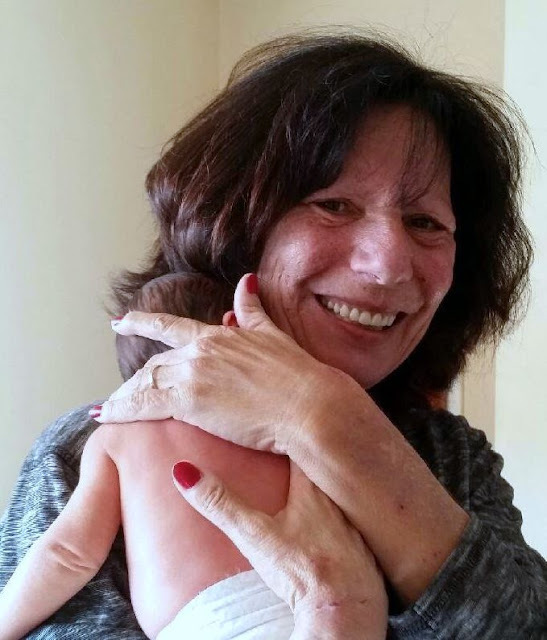 (Julie Butcher writes for CityWatch, is a retired union leader and is now enjoying new La Crecenta home and her first grandchild. She can be reached at juliejbutcher@gmail.com or on her new blog ‘The Butcher Shop- No Bones about It’) Edited for CityWatch by Linda Abrams.